So thinking to the fact that this game has all this ability to craft and build got me thinking about things like minecraft sticky pistons that allow you to physically move voxels that are attached to a pully type system. Off the top of my head the abiltiy to load cargo onto a "lift" and then press a button and it is pulled to its destination on top of the voxel platform attached to the pully system. Couple that with the programming abilities in the game and it would really open up the game. Other thoughts are hidden turrets on a ship that at a push of a button pop out. There won't be elements like pistons, altough it would be great! Also rotating wings or engines, to lift of and flight. What is a piston? In mechanical terms, inside the cylinder of a reciprocating engine, it is a part on the bore that moves up and down in cycle of it's 4 strokes. 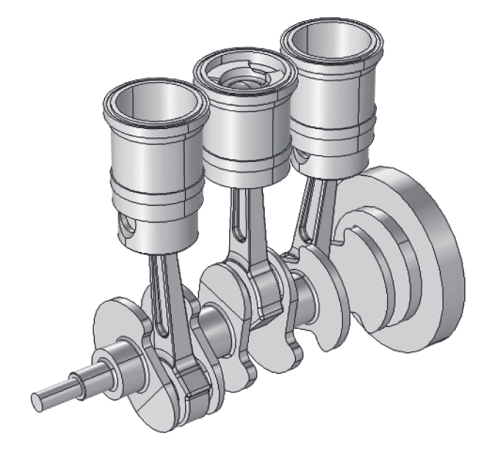 This linear movement of the piston inside the cylinder is converted to rotational movement by the piston rod (the piston is turning the shaft rotationally). We also have linear actuators that retracts and extends. What's moving the piston inside it is hydraulics (fluids). There are also electrical actuators that converts electrical rotational motion from the motor to the threaded shaft (the spindle) into linear motion. Electrical actuators do not have a piston, they have a nut that moves in linear motion on the spindle, connected on the nut is the piston-rod (the arm). A piston is just this. It goes inside the bore of the cylinder. It has rings to prevent fluid/heat from escaping on one side (or both sides in the case of hydraulic actuators). You cannot move it without the pressure, that's what the sealings/rings are for. if you want something that extends and retracts in linear motion, it is hydraulic actuators that you are talking about. Their linear motion(extending and retracting) have many mechanical applications in real life! So many applications! Give us a Bearing as well and this linear motion can be translated to rotational movement, such as that missile launcher pointing almost 90 degrees forward to pointing 0 degrees (or whatever degrees) vertically up to launch the missile. NQ has said that such moving items, besides what they themselves implement in Elements, wont be a thing due to server performance impacts, and my guess is also the bugs and crashes that might be introduced. It is the main cause of instability and lag in space engineers. So I imagine NQ wants to stay far away from those same problems in a large scale MMO. The thing about Actuators and such, is they are too "low-level" for this MMO to function technically. Let's look at the larger Landing Gears in this game. Fundamentally, they work Hydraulically (they retract and fold hydraulically, they extend hydraulically, even the landing gear doors work hydraulically). Give me Actuators(linear motion) and Bearings(to convert it to rotational motion) and I can create my own Landing Gear System or whatever Hydraulic System. It's more for the game to calculate than having dedicated Elements that already have their functions (such as Landing Gear Elements with functions of retracting and extending. That is high level!). Dedicated Elements with their high level functions vs basic Elements for creating a dedicated low-level system. The Actuators are too basic for this game meaning the game will have more to calculate. They cannot give us something that are too low-level (basic, core, and fundamental). The game will not work if you can build things mechanically and electrically on that low-level of degree. Give us Actuators (and Bearings) and you can mechanically make a Robot in this game. I think you are forgetting one very important fact, that DU is voxel based. A swinging, rotating, arching, moving voxel could well be enough to crash the server. So what may seem very simple could in fact be the most complex thing to handle. What I meant by basic is fundamental or to the core. An example is having an Engine Element that functions (exhaust thrust and idle) vs having parts such as dovetail blades, a disk to put those things in, a shaft to rotate, etc. to create an engine yourself, therefore more calculations. 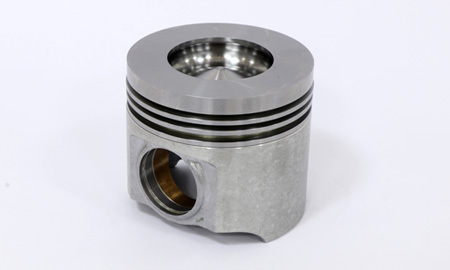 When you speak about pistons (and piston rod connected to it), a cylinder where that piston is in, etc., do you know how basic these things are? They are basic mechanical parts! An actuator is a component composed of parts, piston itself is a part! An assembly is composed of components and parts. The more basic, the more calculations. In terms of game development technicalities such as server and client, I don't know anything about it. I would say piston is very basic, it is not a component, it is a part. These things are not for display, these parts must function individually. 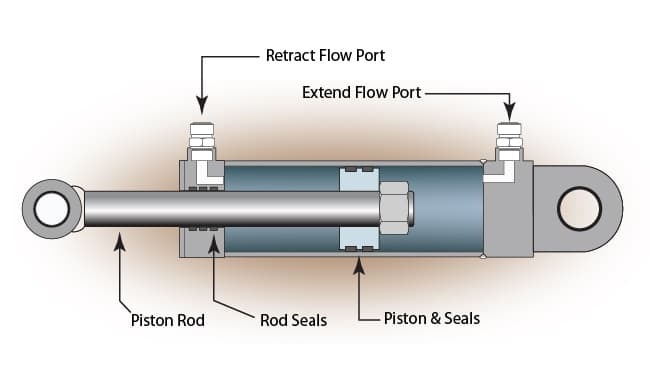 A piston must move inside it's cylinder, therefore it moves it's connected rod. just have an Actuator Element that has a function of retracting and extending in which you will animate! It is the same thing and it calculates less than doing it part-by-part. Voxel technology, I don't know anything about it. I don't know the technicalities. An MMO with both linear and rotational motion (with or without the ability of conversion) will be sick, but like I said, I don't know the technicalities, and these could probably be not technically possible or have technical implications. That's something I don't get, there is already moving voxel in any direction with dynamic core, what is the difference between 2 ships and 2 blocs of voxel moving from each other in one ship ? It may indeed cause performance issue if everyone has a couple of moving voxels inside their ship, but that would be great to find a solution as having this functionality would greatly improve the game experience. You answered your own question there, anything that can move requires its own core and cores must stress the DU servers. So having mini-cores fixed inside another moving core sounds like a potential can of worms. Now, yes, later hopefully not.